SYM is the #1 selling scooter brand in SA but they also enjoy a healthy representation in the entry level commuter and commercial road bike market, all thanks to their very popular XS125. In a market where price does matter, consumers are faced with two scenarios. Option 1: Pay a high price and feel confident that you have purchased a premium product that is not likely to leave you next to the road, or option 2: Purchase something cheap and hope it’s going to last. Inevitable the latter doesn’t always work out well and a great deal of frustration sets in. What if I told you the SYM XS125 is a motorcycle that offers best of both worlds: an affordable motorcycle that is good quality, reliable and has excellent after sales service with the backing of a reputable importer. 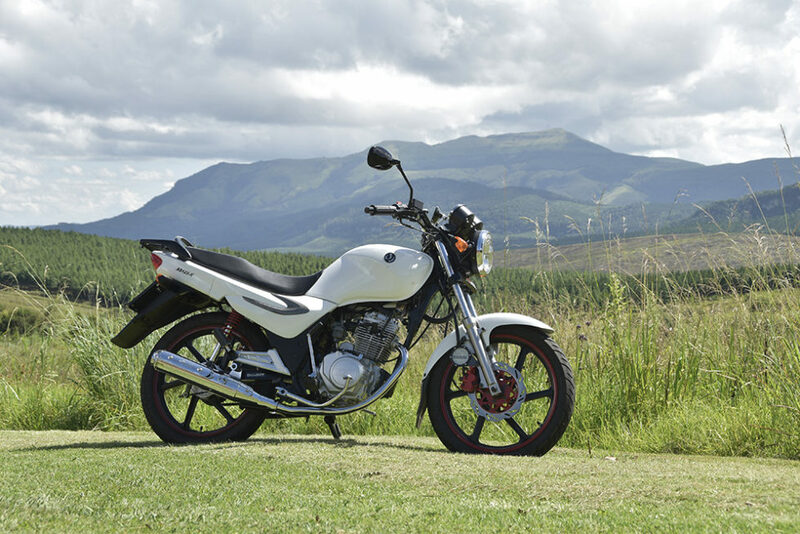 Although it is very much an entry level motorcycle and basic in design, it is one of the better – “value for money” motorcycles available to anyone that is looking for a reasonable transport solution. 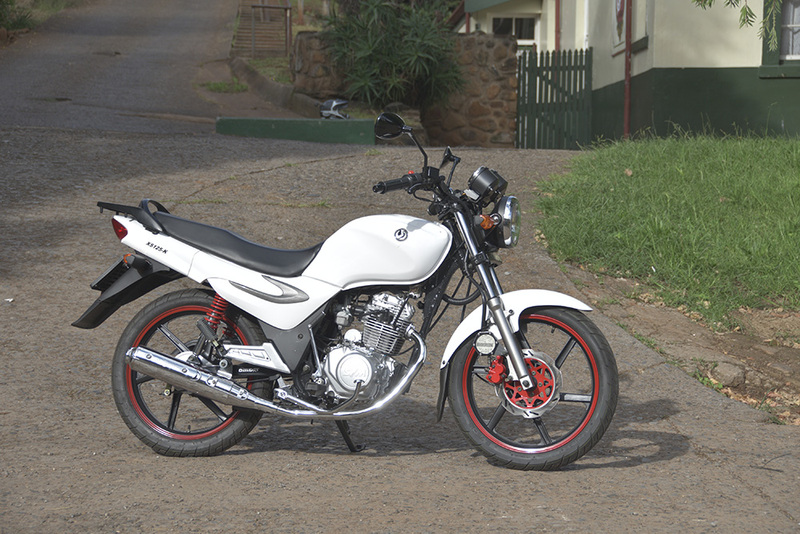 This is a motorcycle that will appeal to individuals that commute short distances and companies that have acknowledged the cost saving benefits that only smaller capacity motorcycles offer. No doubt the reason we see so many of these motorcycles used for commercial purposes. Despite SYM’s best attempts at giving it a sporty look with a “racing” red brake calliper, pin stripe on the rims, a splash of carbon fibre on the shrouds and a nifty gear position indicator, it does lack the “cool factor” and may not appeal to students or school goers, especially those that are still trying to wrestle their egos into rational thinking. 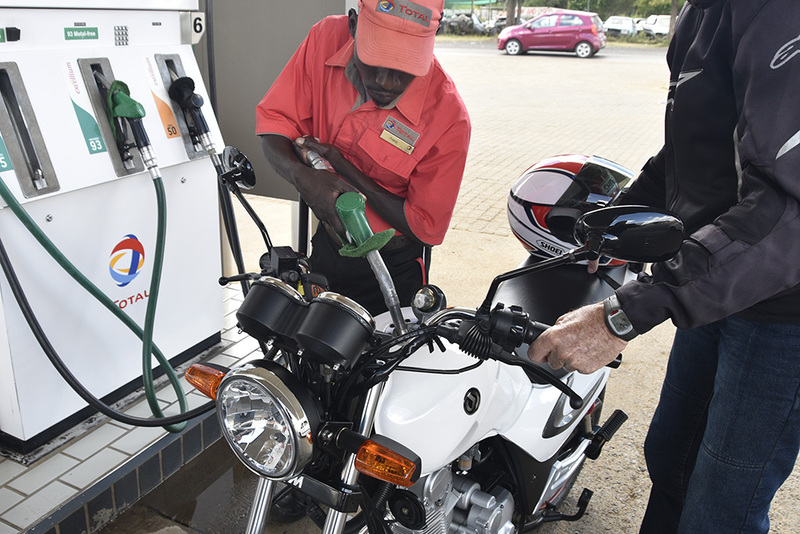 What they may be interested to know is that the SYM XS125 is capable of achieving an impressive fuel economy of around 50km/litre (tested by ZA Bikers under real world riding conditions) So they might want to readjust their mind set if they serious about stretching limited budgets. The XS125 is lightweight (119kg), easy to handle and has a relatively low seat height (790mm) which makes it an excellent option for beginners. Newbies should consider a bike like this to learn the ropes and gain some experience before moving onto something bigger. Motorcycles of lower engine capacity like the XS125 do have some limitations. For one they are not the best option if your daily commute includes some highway riding. Although 125’s are allowed on the “open road” these fuel saving steeds simply cannot keep up with the pace and with a top-end speed of around 95km/h flat taps it could become a rather stressful outing. Town riding is where the XS shines and it is a somewhat competent package. Responsive brakes with a disk upfront and a drum at the rear are more than capable of slowing the bike at a moment’s notice. The suspension has adequate damping with enough travel to soak up speed bumps at haste, albeit with a bit of airtime. The general feedback is that of a well-balanced configuration with a reassuring feel and predictable handling. Engine performance is above average for a 125cc – four stroke when cruising speed is reached, but a little slow in response off the line. If one has intentions to lane split at intersections and get a jump on cars from pull away, one would need to time the lights with precision, otherwise it’s best to toe the line. I found the gearbox to be a little “notchy” with a tendency to sometimes slip into an easily accessible neutral when upshifting from first to second gear but that’s the only negative observation I was able to derive from a motorcycle that is much better than its price suggests. There is a common saying – “you get what you pay for” I personally think that with the SYM XS125 you get a little more.